Cancer has plagued humans for centuries. Over that time, medical experts have come up with at least three major breakthrough treatments to fight this disease. Doctors either go with surgery, radiation therapy, and/or chemotherapy to treat cancer patients. More recently, scientists have also developed aggressive cancer medications that can poison the cancer cells, albeit with some side effects. Experts at the National Cancer Institute say that 40 percent of the population will get some form of cancer diagnosis in their lifetime. As cancer still plague humans despite medical advances, the quest for the perfect cure continues. Today, groups of scientists are doing many extensive studies on how to hone on the body’s natural “kill switch” to defeat cancer through different types of immunotherapies. Here’s what you need to know about the latest discoveries on these potential cancer cures. 1. One cancer research was originally not about finding a cancer cure. Scientists from Northwestern University in the U.S. have been analyzing the human genome for at least eight years. They created a pathway or sequence of small RNA molecules (siRNAs) in order to study the genes. But in doing so, they stumbled upon a trigger mechanism that could be the cancer cure medical science has been waiting for. Through their research, the scientists learned that these small RNA molecules can force cancer cells to destroy themselves. Study lead author Marcus Peter described in the press release that any malignant cells have no possibility of surviving once this trigger mechanism is introduced in the body. What’s even more positive about their discovery is that the siRNAs do not seem to harm healthy and normal cells. On paper, this sounded like the perfect, fail-safe method for fighting cancer. Peter’s team expanded their research with a series of experiments to find out if it was effective. 3. Tests showed that the RNA molecules slowed down the cancer tumors. The scientists used nanoparticles to introduce the siRNAs in the body of mice test subjects implanted with human ovarian cancer cells. The method apparently worked because the cancer cells did not advance. This proved that the tumors were not resistant to the molecules. The mice’s toxicity levels also did not increase, which means that the healthy cells remained protected. 4. The siRNAs work like super assassins. Through more tests, the scientists learned that siRNAs worked like well-trained assassins. They attacked and eliminated the cancer cells in a simultaneous manner to create a pathway for multiple deaths of these cells. The experts termed this process “Death Induced by Survival gene Elimination” (DISE). Last year, they published their initial findings of DISE in the journal Oncotarget. 5. The siRNAs have been in the human genes for millions of years. Peter said that nature intended the human body to have this fail-safe since the beginning of life. Cells have been fighting toxins even then and still survived years of evolution. However, finding the kill switch was a bit trickier because it required the cancer cells to be aggressive, meaning a patient has to be quite sick in order to get a better chance for treatment success. It also took millions of years for this to happen, thanks to the advancements in medicine and technology. 6. Hopefully, their findings will work for ALL types of cancers. For the last few decades, hundreds of cancer studies have shown promise and success when it came to detecting and diagnosing this deadly disease. 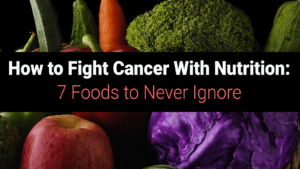 However, there has been little progress in finding more effective treatment than surgery, radiation therapy, chemotherapy, and medications to completely eliminate cancer. Certain cancers also have a higher success rate of remission with immune therapy. But this form of treatment isn’t effective for all types of cancer. The Northwestern scientists hope, therefore, that their discovery will be able to help every cancer patient. It’s still unclear, however, when their method will be viable for human immunotherapy. 7. 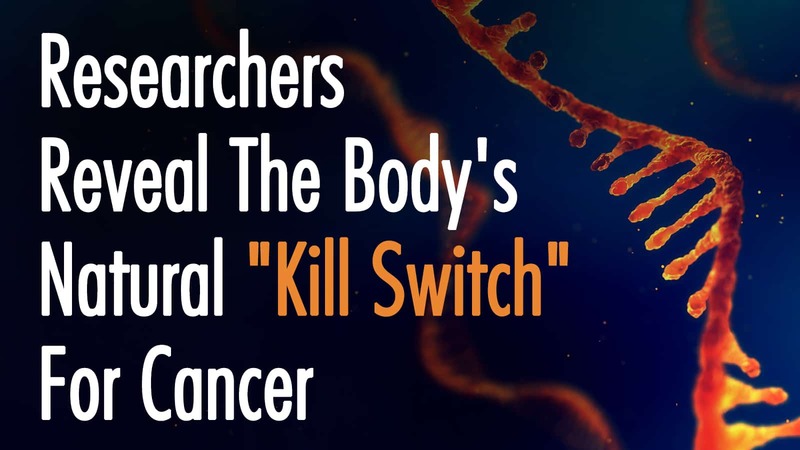 Other studies have also looked into honing a different kill switch in the body to eliminate cancer. At the Trinity College in Dublin, scientists have been working on understanding how certain cancer-killing cells attack the tumors. These Natural Killer (NK) cells, found innately in the body’s immune system, may apparently be boosted to fight cancer by a switch in the body’s metabolic process. Once this switch has been turned on, the NK cells can power up the body’s biochemical engine that can set off a tumor-killing machine. The experts published their findings in the journal Nature Immunology. 8. The Natural Killer cells rely on a protein called SREBP to turn on the kill switch. What triggers the NK’s activity to go on a “special mission,” if you will, is a protein known as Sterol regulatory element-binding proteins (SREBP). These proteins deliver energy during the metabolic process. They work to synthesize fatty acids and regulate cells that are healthy. However, the SREBP’s function may also be disrupted. A type of cholesterol-like molecule known as oxysterols can block the SREBP. They can, in turn, prevent the Natural Killer cells from doing what they’re supposed to do to eliminate the tumors. 9. The cancer cells also produce oxysterols. The experts further learned that cancer tumors may also produce oxysterols. Its impact is more evident in people suffering from both cancer and obesity. This apparently explains why Natural Killer cells cannot be effective in cancer patients who have weight problems or higher cholesterol levels. More studies are being undertaken to determine if lowering a cancer patient’s cholesterol level may improve the function of the NK cells to fight the tumors. 10. Scientists in the U.K. are also working on the Natural Killer cells to fight cancer. A third study on the body’s natural kill switch to fight cancer has also been ongoing in the U.K. Since the NK cells function to destroy toxic cells in the body, including cancerous tumors, experts at the Walter+Eliza Hall Institute of Medical Research wanted to find out how to keep the NK cells healthier. Doing so could improve the chances of cancer patients to win against this disease. 11. Even without any switch, other cells can be NK cells. Their findings revealed that NK cells rely on proteins like the ID2 and IL-15 to form and thrive. The ID2 makes the NK cells more responsive, while it needs the IL-15 to survive. A lack of IL-15 can essentially kill the NK cells in the body, thus making a cancer patient’s body weaker. However, experts learned that even without any switch, the body can transform other healthy cells into Natural Killer cells if there is enough ID2 and IL-15 in the body. Essentially, what this means is that if the number of NK cells is higher, the body’s immune system will be better equipped to fight the disease. Cancer patients, therefore, must be supplied with the essential proteins to boost their NK cells. This method might be limited to fighting breast or colon cancer and melanoma only. It’s still unclear if it can work for other forms of cancers or if the experiments have moved on to human testings. 12. Making the immune system work against cancer is not a new medical marvel. Even before these discoveries, two scientists in America and Japan have already been working to harness the immune system to win against cancer. In fact, they were recently awarded a Nobel Prize for Medicine for their work in revolutionizing the treatment for cancer. James Allison and Tasuku Honjo found a way to stop malignant cells from shutting down a cancer patient’s immunities. They did it by blocking a protein known as the CTLA-4. This protein functioned like a circuit breaker for the body’s immune response. It keeps the Natural Killer cells in check, ensuring that NK cells won’t get out of control and damage healthy cells. However, the experts learned that the cancer cells take advantage of the body when the CTLA-4 turns on those circuit breakers. So, the scientists found a way to jam this protein to allow the NK cells to continue to attack the cancer cells. 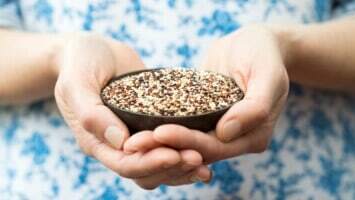 Their method did destroy the tumors and, in most cases, completely cured the cancer patients from the disease. The scientists and their team have been working on this study since 1994. They have been injecting cancerous mice test subjects with CTLA-4 but the tests on humans with cancer did not start until 15 years later. 13. Admittedly, there’s a downside to this type of immunotherapy. However, while this method was indeed a breakthrough in the cure for cancer, blocking the CTLA-4 did have serious side effects. Some patients reportedly developed toxicities from the immunotherapy. But then, its positive results outweighed the negative side effects. Many medical experts who reviewed the work of Allison and Honjo agreed that the cure works well after seeing the response of a stage 4 terminal cancer patient who became cancer-free during the human trials. The human body’s immune system usually does an excellent job of sorting healthy and unhealthy cells. It also eliminates foreign elements that should not be there. However, it’s still quite helpless against cancer. This disease remains deadly and continues to take the lives of millions of people around the world every year. But thanks to the work of these scientists, humans could finally have a chance to truly beat cancer. In the past, people diagnosed with cancers usually did not get promises of a cure from their doctors. In fact, the word “cure” might not be ideal to use because; it has seemed like a wishful thinking or a fantasy. No doctor would like to get their patient’s hopes up only to disappoint them when a treatment doesn’t work. Today, however, there are many indicators of hope. Some people have actually gained positive outcomes from participating in trials. While not everyone has the privilege of participating in these trials, there is light at the end of that tunnel. Hopefully, it won’t be long before cancer, regardless of the type, will finally be eradicated.